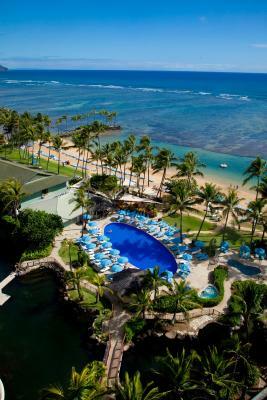 Lock in a great price for The Kahala Hotel and Resort – rated 8.7 by recent guests! From the moment we arrived the staff were very friendly and helpful. This place is beautiful and relaxing. We will definitely be returning. Loved the rainbows! Christmas decorations were excellent. Loved rocking chairs and seeing dolphins. Yoga class was excellent. This place is all about service. Everyone called me by name, with a smile and a courteous demeanor. 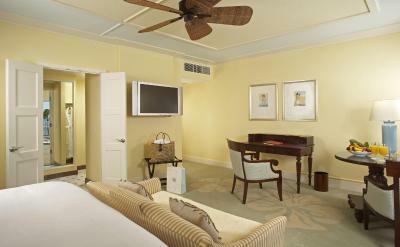 The rooms are lovely and large. The beach is pretty and the breakfast is delicious. The pool itself was a bit dated and not as impressive as the rest of the hotel. But we definitely felt pampered. Will return! The entire hotel experience was quite good with no complaints that were significant The pianist on Sunday and Monday nights is phenomenal!!!!!! Wonderful property. Plenty of activities. Friendly attitudes. 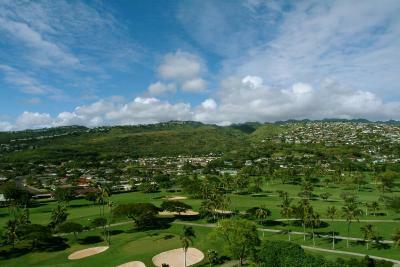 We had a wonderful time at the Kahala Hotel. The staff was super nice, efficient, and accommodating. We were upgraded to an oceanview room which was absolutely lovely. We were celebrating our 45th weeding anniversary and could not have picked a more perfect place to spend it. Food and dining experience was top notch. We are planning to make this a yearly anniversary trip!!! 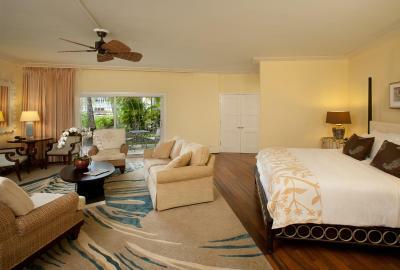 I had a lovely room that was very quiet, overlooked the golf course. The large bed was extremely comfortable . Spacious bathroom with a fridge for drinks and snacks. The beach was just right for me, I felt very safe swimming there as it is shallow. I like Italian food, the restaurant was very good. I had a wonderful time and I would recommend it highly for women travelling alone. Guest Service team (especially Dee Dee) were excellent. Very helpful and pleasure to work with.. The pineapple that was sent to our room upon arrival was a wonderful start to an amazing week. The dining on site was fantastic!!!! The concierge was very helpful the whole time we were there. 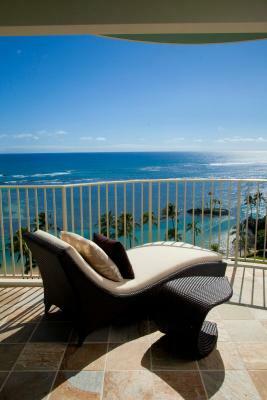 The Kahala Hotel and Resort This rating is a reflection of how the property compares to the industry standard when it comes to price, facilities and services available. It's based on a self-evaluation by the property. Use this rating to help choose your stay! 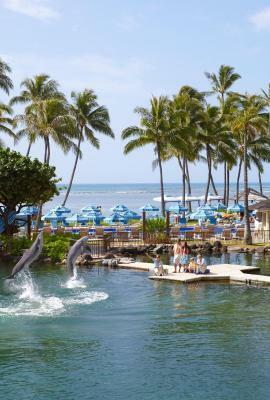 Located on a private beach in Honolulu, this luxury resort features 4 restaurants, a full-service spa, and a private lagoon with resident dolphins. A free shuttle to Ala Moana Shopping Center is provided. 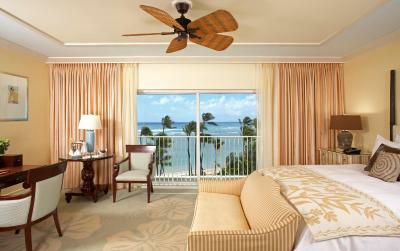 A 40-inch flat-screen TV and iPod docking station are featured in each Hotel Kahala room. 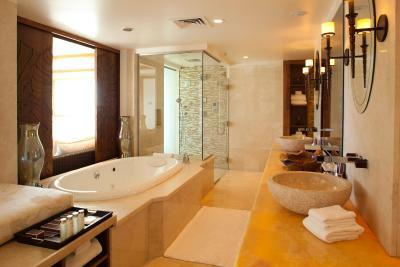 Most boast a large bathroom with robes, a deep-soaking tub and separate shower. 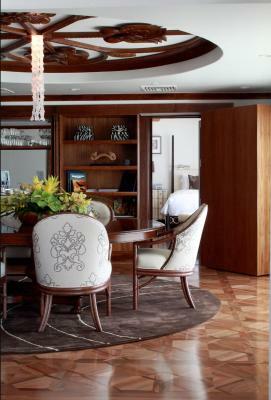 Every elegant room is decorated in warm colors. 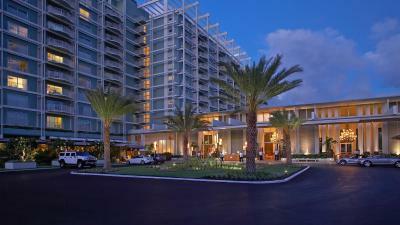 On-site activities include free surfing lessons and introduction to stand up paddle boarding classes. 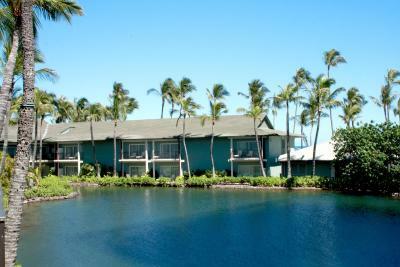 The Kahala Hotel and Resort also offers yoga at CHI Fitness Center, a kid's club, dolphin encounters, and outrigger canoe tours. 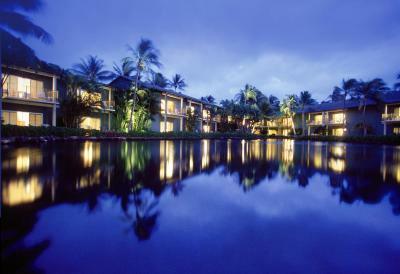 Free access to the outdoor pool, state-of-the-art fitness center and saunas is provided to all guests. 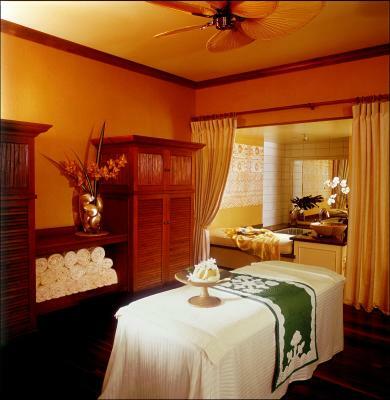 Kahala Spa features 10 private treatment rooms, massages and beauty services, and an open-air relaxation space. 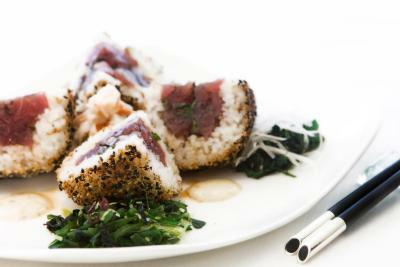 Dining options include Plumeria Beach House, an all day open air restaurant, the award-winning Hoku's fine dining restaurant, and the Seaside Grill for causal fair by the pool and beach, The Veranda for afternoon tea, cocktails and late night menus and Arancino for Italian. The Veranda features nightly live music from 19:30-22:00. 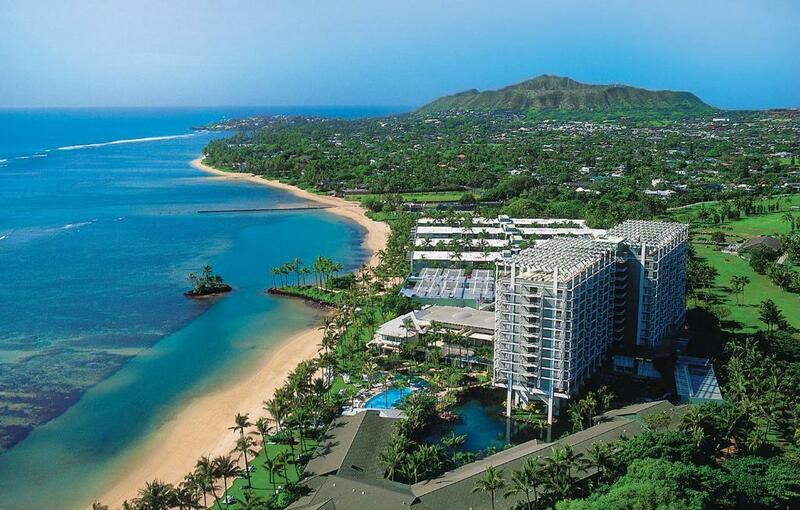 The Honolulu Zoo is 3.7 mi from this oceanfront resort and Honolulu International Airport is 20 minutes’ drive away. 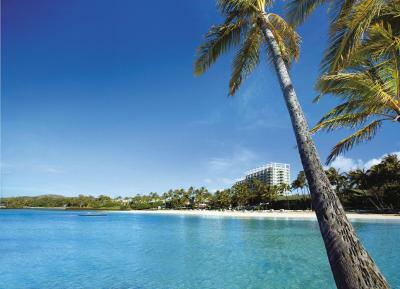 When would you like to stay at The Kahala Hotel and Resort? 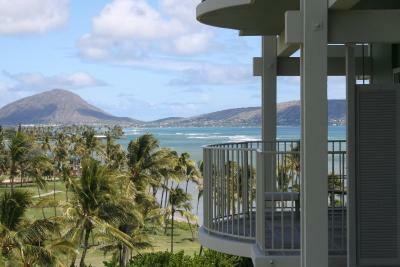 Featuring views of Ko'olau Mountains, this room offers a coffee machine, a flat screen TV with cable channels, an electronics charging station, a CD player, a business deck, a safety deposit box, a seating area, a dressing room, and an private bathroom with bathrobes, slippers, a hairdryer, and free toiletries. The maximum occupancy of this room is 4 people, including adults and children. Public parking is available on site (reservation is not needed) and costs USD 35 per day. 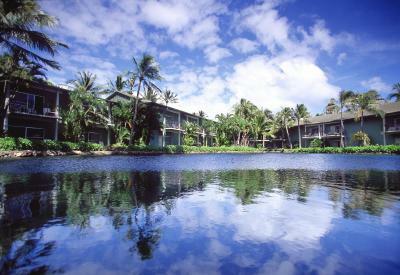 Located in the secluded Dolphin Lagoon Wing, overlooking the lagoon, home to the resident dolphins this room offers a coffee machine, a flat screen TV with cable channels, an electronics charging station, a CD player, a business deck, a safety deposit box, a seating area, a dressing room, and an private bathroom with bathrobes, slippers, a hairdryer, and free toiletries. 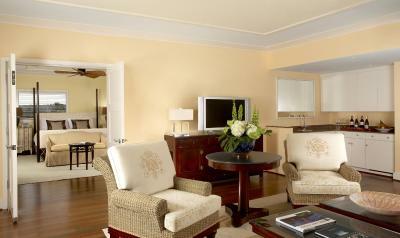 Featuring views of the Pacific Ocean, this room offers a coffee machine, a flat screen TV with cable channels, an electronics charging station, a CD player, a business deck, a safety deposit box, a seating area, a dressing room, and an private bathroom with bathrobes, slippers, a hairdryer, and free toiletries. Featuring partial ocean views, this suite offers a coffee machine, a flat screen TV with cable channels, a DVD player, an electronics charging station, a CD player, a business deck, a safety deposit box, a seating area, a dressing room, and an private bathroom with bathrobes, slippers, a hairdryer, and free toiletries. Featuring oceanfront views, this suite offers a coffee machine, a flat screen TV with cable channels, a DVD player, an electronics charging station, a CD player, a business deck, a safety deposit box, a seating area, a dressing room, and an private bathroom with bathrobes, slippers, a hairdryer, and free toiletries. Featuring oceanfront views, this room offers a coffee machine, a flat screen TV with cable channels, an electronics charging station, a CD player, a business deck, a safety deposit box, a seating area, a dressing room, and an private bathroom with bathrobes, slippers, a hairdryer, and free toiletries. 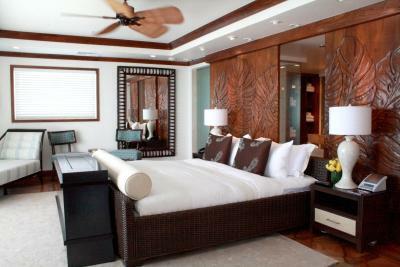 Featuring beachfront views, this room offers a coffee machine, a flat screen TV with cable channels, an electronics charging station, a CD player, a business deck, a safety deposit box, a seating area, a dressing room, and an private bathroom with bathrobes, slippers, a hairdryer, and free toiletries. 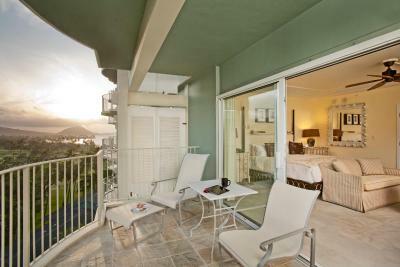 This double room features a balcony, CD player and seating area. 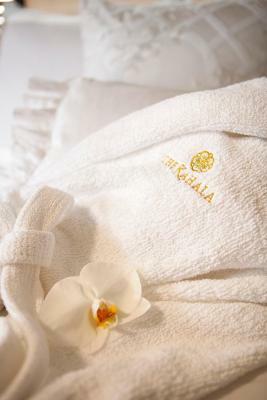 House Rules The Kahala Hotel and Resort takes special requests – add in the next step! 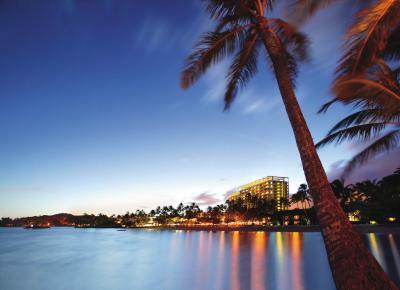 The Kahala Hotel and Resort accepts these cards and reserves the right to temporarily hold an amount prior to arrival. This place was a bit of a snoozer. There was no atmosphere at night and there wasn't really much to do. 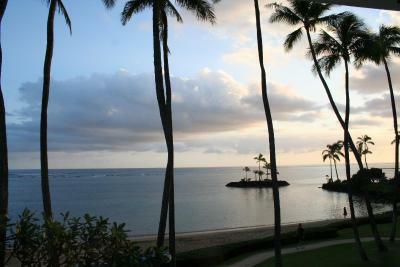 The beach was ok, but if you are heading to Hawaii, I suppose you are expecting something really spectacular. In fact, we didn't even use the beach once! We left every day to explore the other beaches on the island. Parking at $35 a night is silly, it should be covered in the resort fees. I spent quite a bit of time admiring the beauty and grace of the dolphins, but wrestled the whole time with the fact they are in captivity. The shuttle bus gots limited seats and runs only a few times everyday to the Ala Moana Shopping Centre or the International Market Place, which is a bit inconvenient for us to get something to eat. Breakfast dining was unpleasant with many birds in, around and on the food area. Expensive for what it was with a heavy expectancy of tipping. Room lighting was confusing. No central switches just table lamps. Hard to reach from bed. Needs upgrade. Combined shower and bath; high sides on bath and lack of assistance rails made for difficulty getting in and out of shower. The dolphins bath. So cruel. I was shucked to see that. It should be closed! 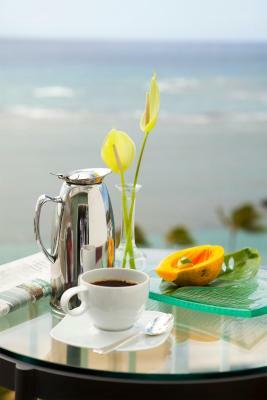 We thought breakfast was included, so we had breakfast there every morning. But if we knew that it's not included, we would have gone out for brunch. It's expensive and not worth it. Great view from anywhere in the hotel. Cozy, calm and clean. Not very far from Waikiki.